Jimbaran is a perfect beach in Bali. 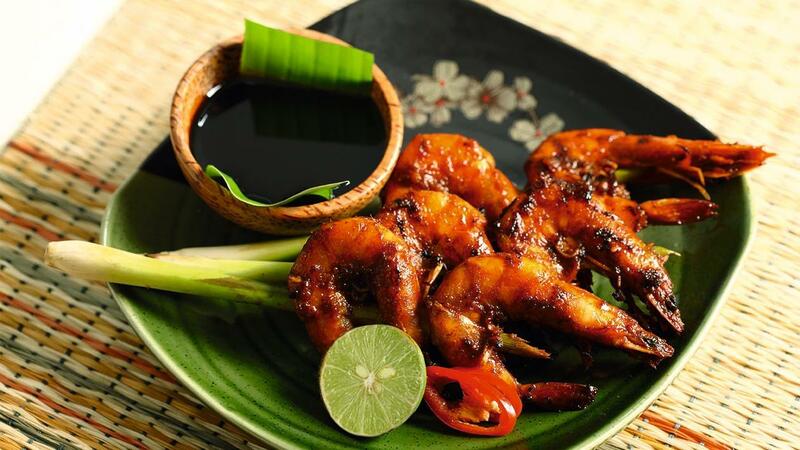 This unique Jimbaran taste will bring the same enjoyment for all seafood lovers. Heat the cooking oil on a pan. Sauté the seasoning until it smells well. Then, add the shrimp into the seasoning. Mix them well until turn into different colour. Pour Bango Kecap Manis, salt, and coconut sugar into the pan. Mix them well. Grill the shrimp that has been smeared with the seasoning until it smells well.